This January, Nintendo resurrected “New Super Mario Bros.,” originally released in 2012, as “New Super Mario Bros. U Deluxe,” for Nintendo Switch. It’s still a wonderful 2.5D-platformer, but this “Deluxe” version has Toadette as a playable character with a brand new Super Crown power-up that turns her into a new form known as Peachette. 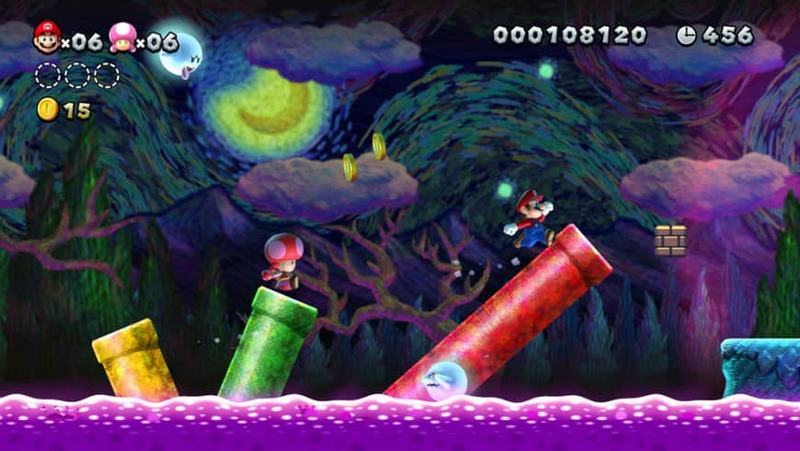 The game also comes pre-loaded with the add-on “New Super Luigi U,” which stars Luigi instead of Mario. The Luigi-centered add-on has 82 stages, which means that, combined with the 82 of “New Super Mario Bros. U,” this new “Deluxe” version has a whopping 164 stages to challenge players. 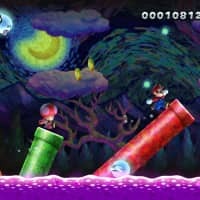 Nintendo, no doubt, makes the best platformers, and the “New Super Mario Bros. U” (¥6,548) proves gamers will never tire of them. In 1998, Capcom released one of the most iconic survival horror games ever made. Known as “Biohazard 2” in Japan and “Resident Evil 2” overseas, it scared the crap out of a generation of gamers. Now just over 20 years later, Capcom has remade the game. Is it still frightening? 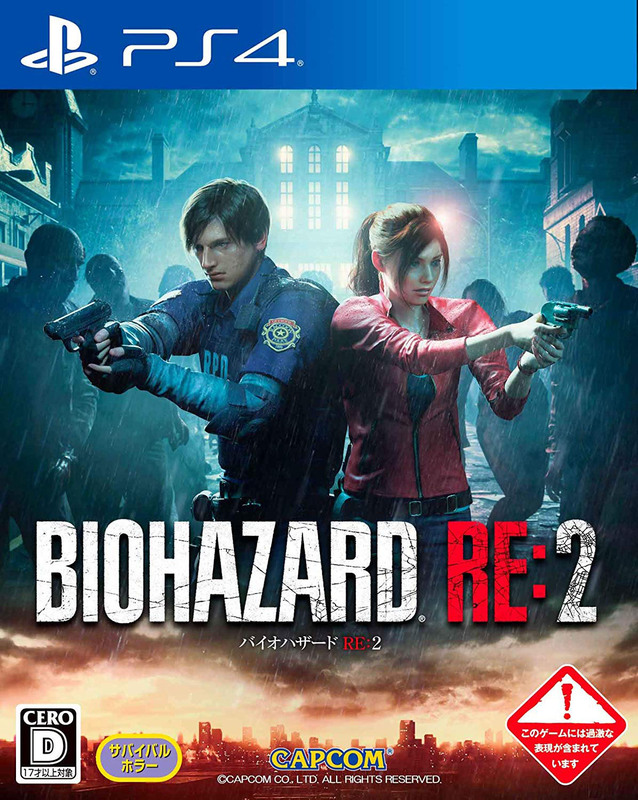 Titled “Biohazard RE:2” (“Resident Evil 2” again outside Japan), this isn’t an exact remake. New graphics and character models bring “Biohazard RE:2” alive in a highly detailed and terrifyingly realistic way. The original game had fixed camera angles from which players viewed their characters moving around scenes, while the remake has an over-the-shoulder camera view that follows the characters. 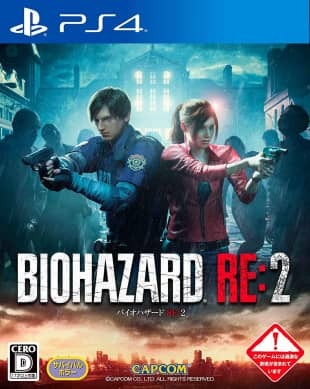 This offers “Biohazard RE:2” players an entirely new experience, with monsters and scares lurking ahead, just out of sight. It is more immersive, atmospheric and creepy. It’s remarkable that this polished remake still captures the essence of the 1998 version. That inescapable feeling of dread that made the original so scary still pulsates throughout the new game. When I played the remake demo at last fall’s Tokyo Game Show, it was in a darkened room for a behind-closed-doors session — and it really got under my skin. Even if you have played the original, expect to be creeped out. If you haven’t played the original, you might want to try the new game with the lights on. Trust me. “Biohazard RE:2” is available for PlayStation 4, Xbox One and Steam. Priced at ¥8,424, it’s a game aimed at adults so there is a CERO D-rated version (deemed suitable for players aged 17 and up) and a CERO Z-rated (unavailable to buy for those under 18). Atlus makes particularly slick and interesting games. Its “Catherine” oozed cool when it was originally released in 2011. Stylish and cute with a chic soundtrack and interesting puzzle-platforming gameplay, “Catherine” was a one-of-a-kind gaming experience. It followed the story of Vincent, whose fling with a beautiful temptress named Catherine leads to a nightmarish double life. The new 2019 version, “Catherine Full Body,” is an HD remake for the PS4 and the PlayStation Vita. It’s great to see the PS Vita, which struggles to gain popularity, get new releases in 2019. Besides polished graphics, “Catherine: Full Body” adds more story in the form of 20-plus animated cut scenes and a new character named Rin. There are also new game modes to help players who aren’t so good at the puzzle-solving, but who want to enjoy the game’s potboiler plot. For those who dug the gameplay of the original, there are new puzzle stages and an online battle mode. 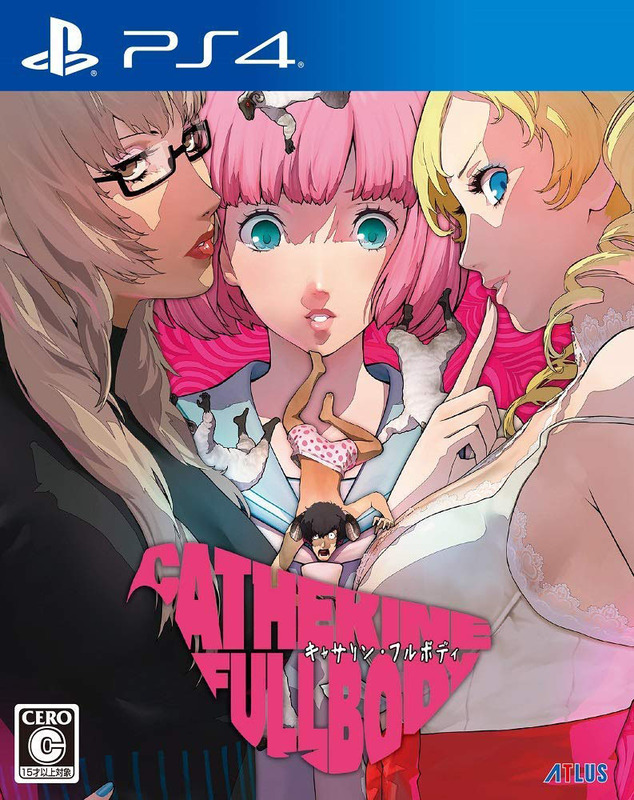 “Catherine: Full Body” will be released on Feb. 14 for the PS4 and PS Vita, priced at ¥8,618.